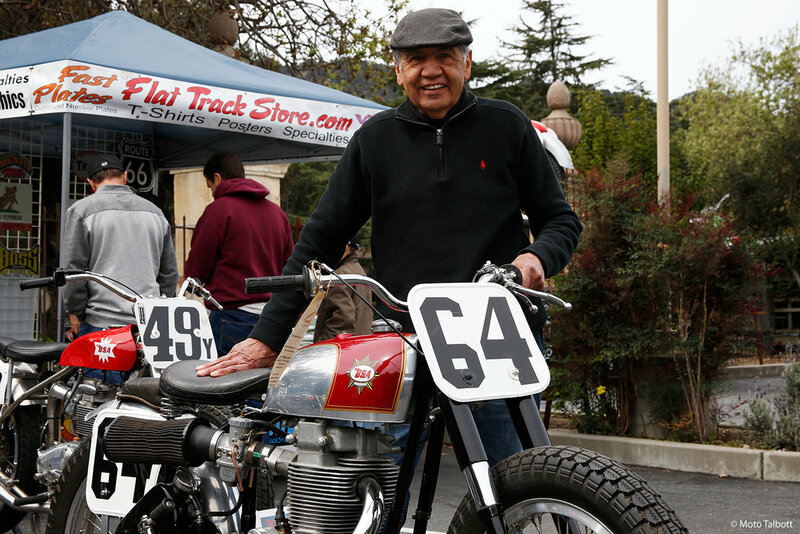 More than 100 people attended our Vintage Flat Track Day at Moto Talbott on Sunday, March 18. 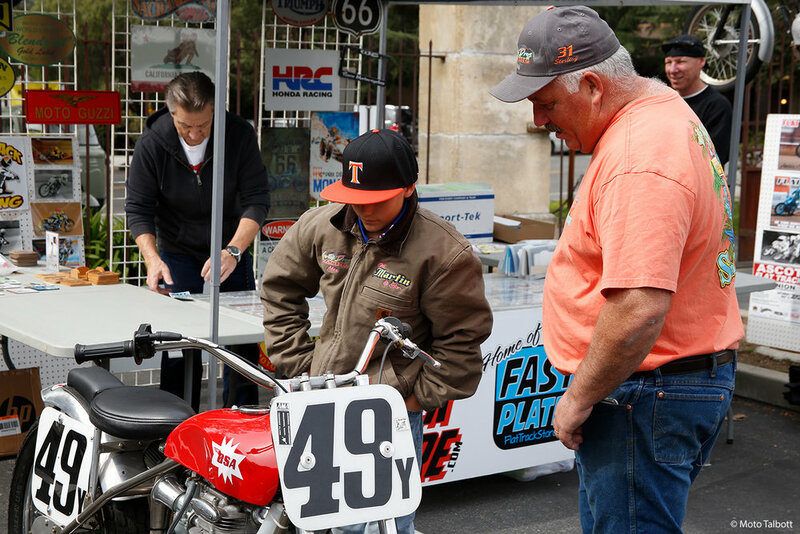 The event included appearances by some of our most famous local racers, including three-time world champion Wayne Rainey, AMA Hall of Fame rider Don Castro, and former Honda factory rider Jeff Haney. 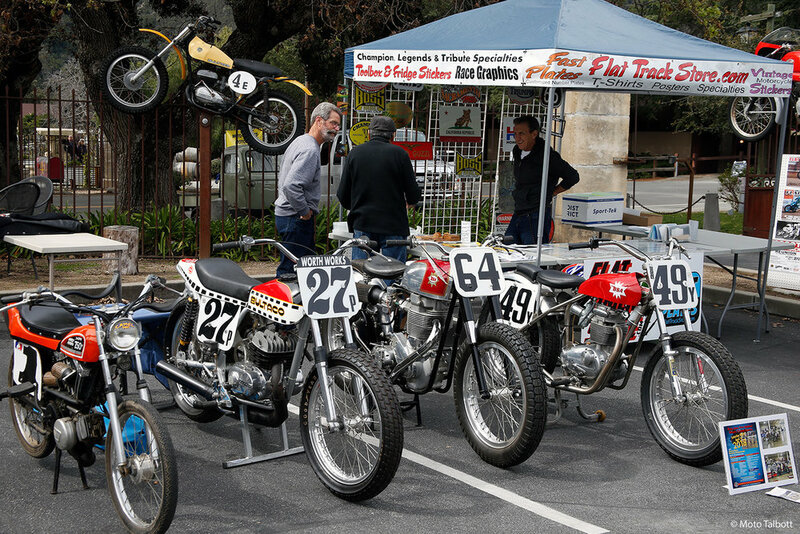 The parking lot was full of great sideways sliders of the past, made by Honda, Yamaha, Bultaco, Triumph, and other marques. Hope you got a chance to attend. 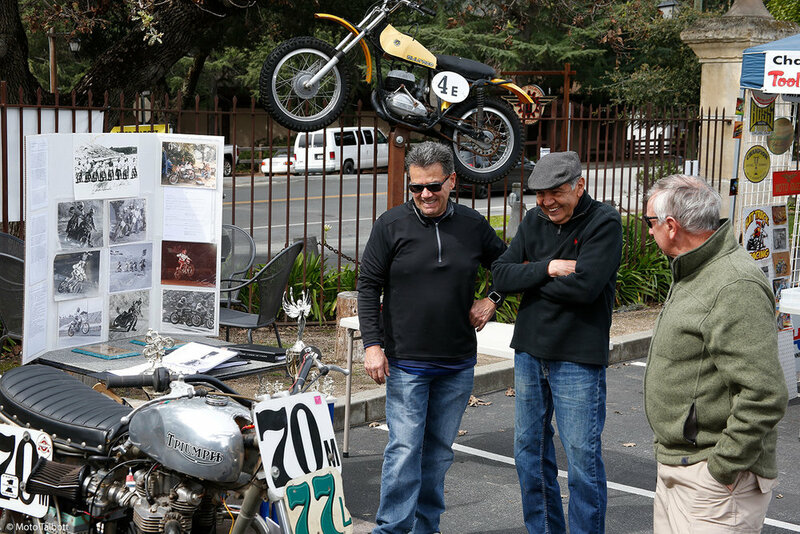 Thanks everyone for coming out! 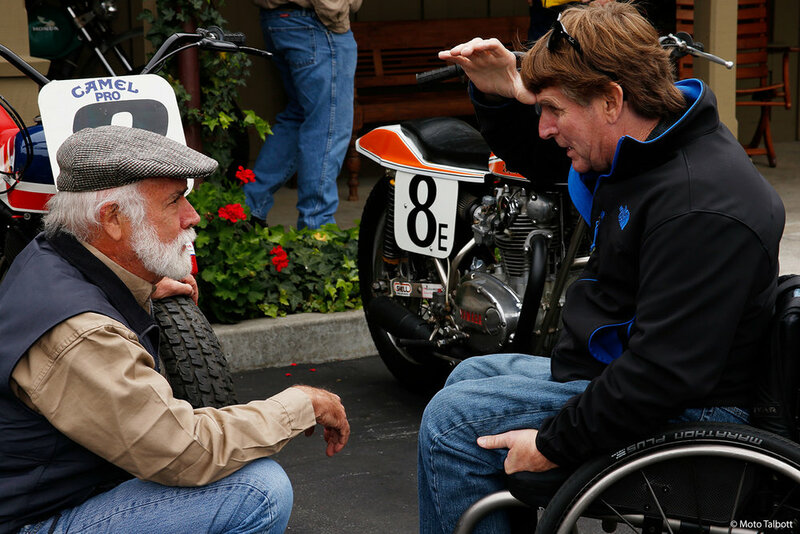 Museum founder Robb Talbott with three-time world champion Wayne Rainey. 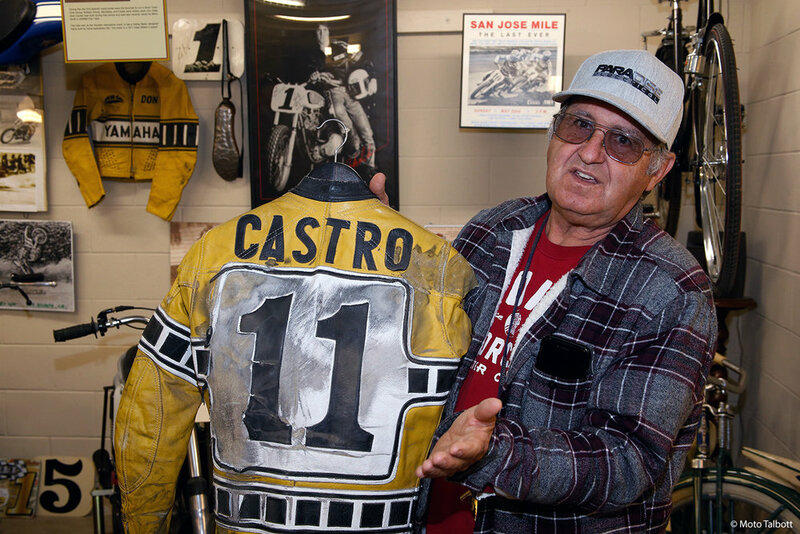 Hall of Famer Don Castro with some of his racing memorabilia, which is all part of a special display at Moto Talbott, along with his motorcycles. 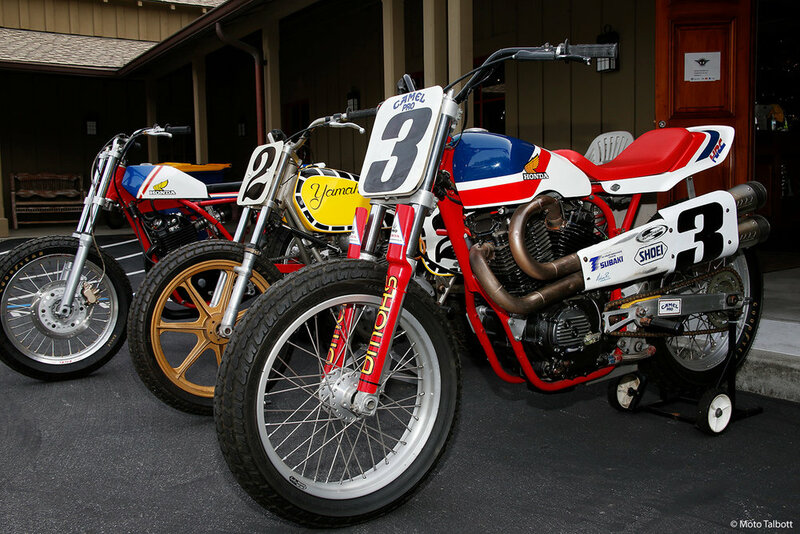 From left to right: rare Honda RS 600 flat tracker owned and restored by Anthony Giammanco; Yamaha dirt track bike belonging to Grand National Champion Kenny Roberts; Honda RS 750 twin factory racer. 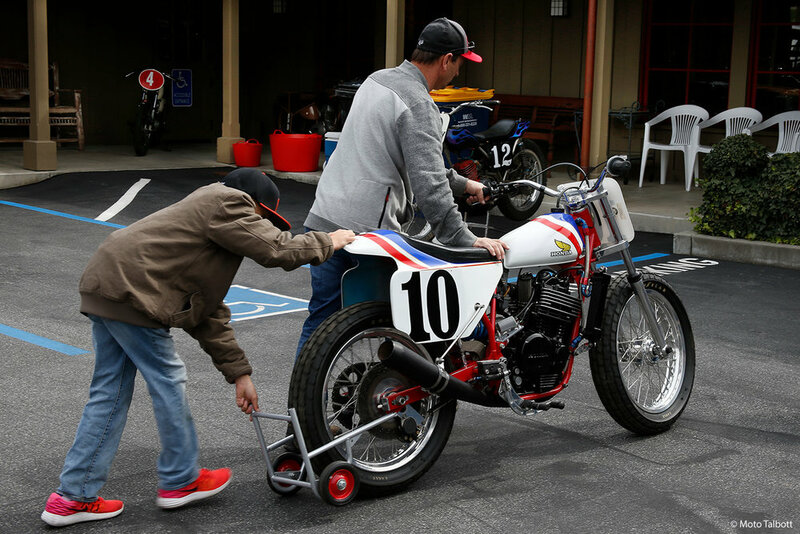 Honda RS 600 ridden by Hall of Fame rider and local resident Doug Chandler, being wheeled in by Anthony Giammanco. 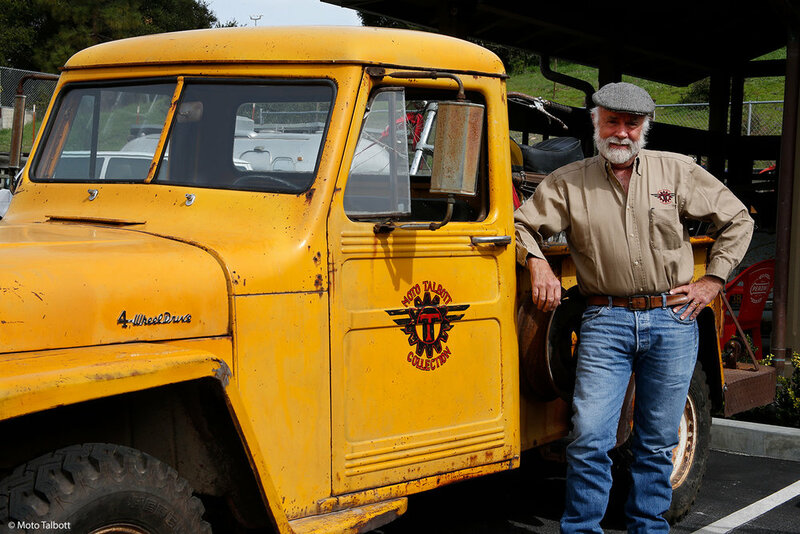 Museum founder Robb Talbott with a "new" acquisition: his 1957 Jeep. 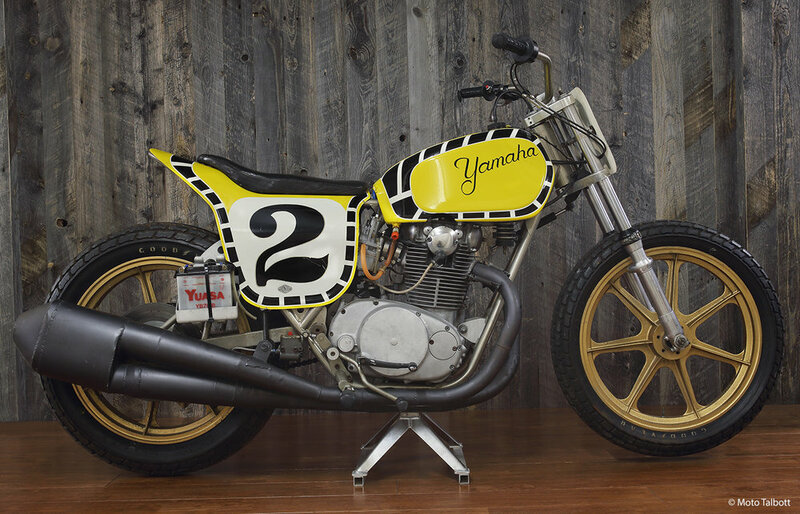 Kenny Roberts was Grand National champion in ’73 and ’74, when he scored 2,286 points, collecting points in all 23 races. 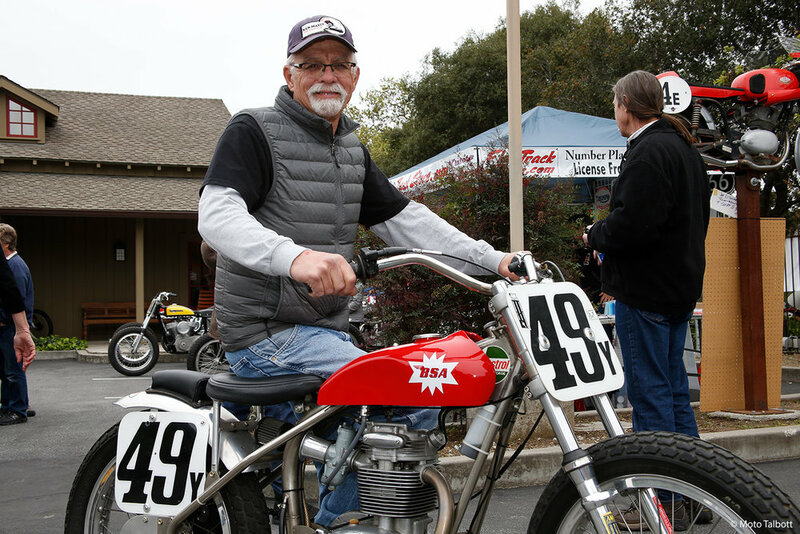 The dirt track bike you see here has custom side cases, flatside carburetors, a nickel-plated monoshock frame, a striking side-mounted battery, and a vintage set of Goodyear tires.